Vernalis, a division of Orion, has been helping major sport leagues maintain their edge and solve operational challenges through creating technology solutions and frameworks that work. With our 15 years of vast experience, we have developed a strategic framework for Sports Technology that models the best practices we’ve seen delivering consistent & high business value. Our framework identifies the core value drivers that are unique to sports leagues and defines how these drivers are the key elements that build or protect value. They are an effective and insightful metric by which technology initiatives and strategies can be developed and measured. We have also compiled a collection of proven technology tactics within each category, that we have studied or deployed for our clients. There is no player or team above the game. This is a mantra echoed by all sporting leagues but how do organizations systematically and proactively protect their game, clubs, and ultimately their revenues? 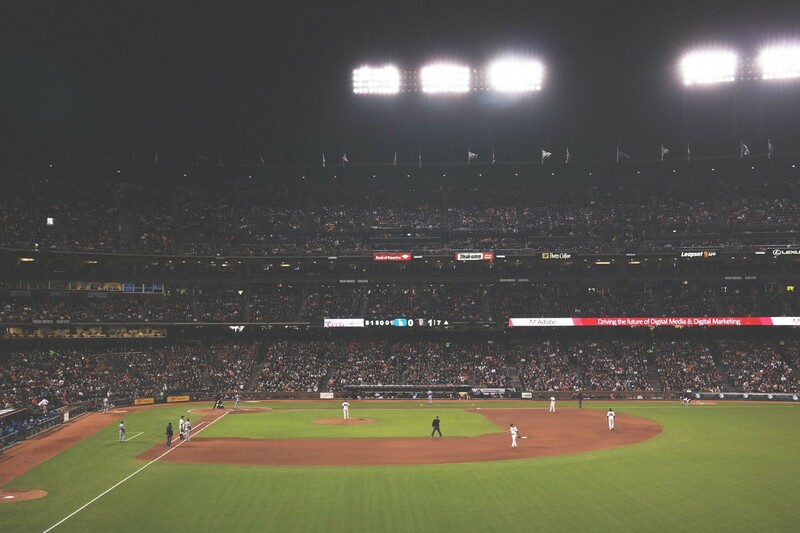 From the highest levels of professional sports to its “grass roots”, negative exposures affect the business of sports and even though most are forgotten as soon as they arise, the financial and emotional costs of dealing with major incidents are often long lasting. While the public’s threshold for shock has increased over the decades, immunity from the fall out of negative press can never be assumed. This is true whether it’s on-field incidents, where officiating needs to be impartial and independent, or off-field, where the actions and words of players, teams and even ‘fans’ can cause the media, social media, and even the speculation of the public to question the integrity of the game. There are, however, proactive steps that can can be taken to minimize that risk. Many of these tactics, such as those shown, can be effectively and efficiently implemented and managed with the right internal software .This right software can provide accuracy, reliability, and real-time analysis of all pertinent data, enabling more informed and disciplined risk management. The foundational “product” of Sports leagues are the games themselves, events taking place on a regularly scheduled basis during specific times of the year and requiring the strictest of attention to logistical detail. While there has recently been great advancement in some areas like ticketing, and scorekeeping, traditionally, leagues have not made the fullest possible use of technology to facilitate all of the activities that make up a successful game presentation. Manual data capture, double handling data and running the game from desktop documents and spreadsheets is still common practice. These legacy processes have hardly proven themselves to be optimal. By systemizing data and operations, league managers are empowered with data analysis and streamlined or automated processes. The improved staff efficiency allows them to focus on the actions that matter, not on the tasks that don’t. Striking the balance between acquiring new prospects in existing and new markets vs focusing on retaining and organically growing the faithful, is an issue all businesses face – however in sports the results are in lights. Strategies and tactics to introduce the game in new areas such as international tournaments, broadcasting, international sponsorship, international licensing agreements, international academies for player development, and youth programs are just a few of the ways Sports Leagues have been extending their reach. Technology is helping them to deploy more organized and sophisticated efforts. Like Fortune 500 or other enterprises, sport leagues face a myriad of rules to adhere to regarding legalities, internal standards, union contracts, payroll, and other contractual obligations. Add to this issues such as GAAP, personnel management, advertising, legal fees, public policies and PR to name just a few, and the need for effective data and process management becomes readily apparent. Accurate data here can help to insure financial viability which in turns affords leagues or clubs the means of growing their brands premier image and prestige while accommodating growth and decrease costs. While there has recently been great advancement in some areas like ticketing, and score-keeping, traditionally, leagues have not made the fullest possible use of technology to facilitate all of the activities that make up a successful game presentation. Manual data capture, double handling data and running the game from desktop documents and spreadsheets is still common practice. These legacy processes have hardly proven themselves to be optimal. By systematizing data and operations, league managers are empowered with data analysis and streamlined or automated processes. The improved staff efficiency allows them to focus on the actions that matter, not on those that don’t.